After the last October in Bandung. After a warm kinship that had been accompanied all over 250 participants from seven different countries in first symposium. This year, International Symposium on Applied Chemistry (ISAC) 2016 is back with the same spirit. ISAC 2016 will be held on 3-5 October 2016 at Indonesia Convention Exhibition (ICE), BSD City, Indonesia, by carrying the theme, “Chemistry for Better Life”. This is the 2nd international scientific conference organized by Indonesian Chemical Society (HKI) and supported by Indonesian Institute of Sciences (LIPI). ISAC 2016 will facilitates sharing of ideas and recent research experiences and its application in chemical related fields, as well as to promote international cooperation among participants. Researcher, lecturer, student, industrial practitioner and government agency members are welcomed to participate in this event as paper presenter participant or only enjoying the kinship among colleagues asnon paper presenter participant. 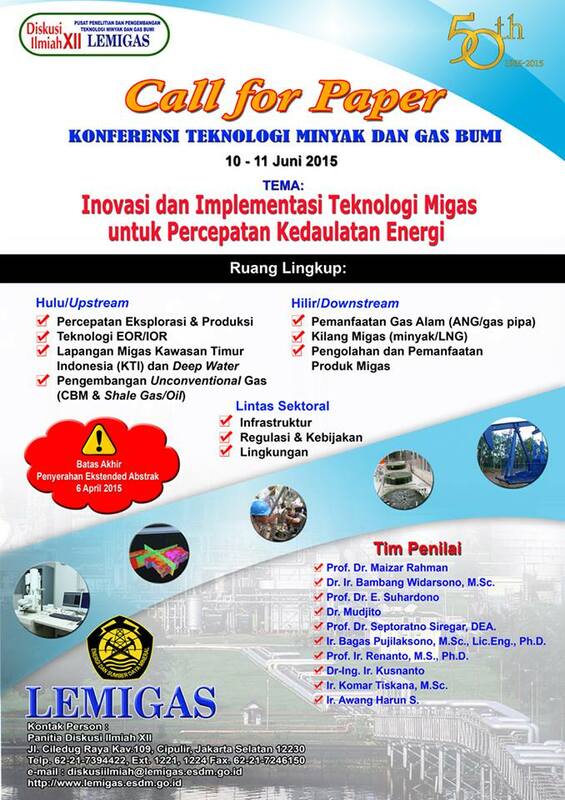 International Symposium on Applied Chemistry (ISAC) or previously known as Seminar Nasional Kimia Terapan Indonesia (SNKTI) is a conference organized by Indonesian Institute of Sciences (LIPI), Indonesian Chemical Society (HKI), and Indonesian Catalyst Society (MKI). This year is marked as the 3rd SNKTI which is conducted in conjunction with Indonesian Catalysis Symposium 2015. This event will be held on 5-7 October 2015 at Aston Hotel Bandung, Indonesia. This conference facilitates exchanging ideas and experiences of recent research and its application in chemical related fields, as well as to promote international cooperation among participants. Researcher, lecturer, student, industrial practitioner and government agency are welcomed to participate in this event as paper presenter participant (oral presenter/ poster presenter), or, non paper presenter participant (observer). We invite author to submit full technical papers in 4-6 pages, pdf formatted. Please see the guideline here and download this template to write the paper. Each paper will be double blind peer-reviewed by experts in the relevant fields. Accepted papers should be presented by the author(s) in the event. Presented papers obtain an opportunity to be published at Procedia Chemistry, Elsevier (Scopus Indexed). Paper presenter participants (oral/ poster) need to register for (i) event registration and (ii) paper submission. While non-presenter participants need to register for the event only. Event registration is available at bottom page of registration menu in this website. For paper registration, please refer to EDAS Page. Should you have any trouble or need further information, please do not hesitate to contact us here or via email: isac@mail.lipi.go.id. Venue and Date : UI Central Library, Depok, Indonesia on September 10th, 2014.